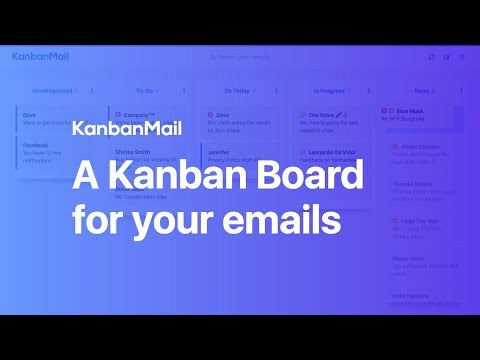 A Kanban board for your emails! It makes it easy to visualize your inbox and makes it easy to see which emails need your attention, when. KanbanMail takes your inbox from a confusing mess and turns it into a clear action plan!